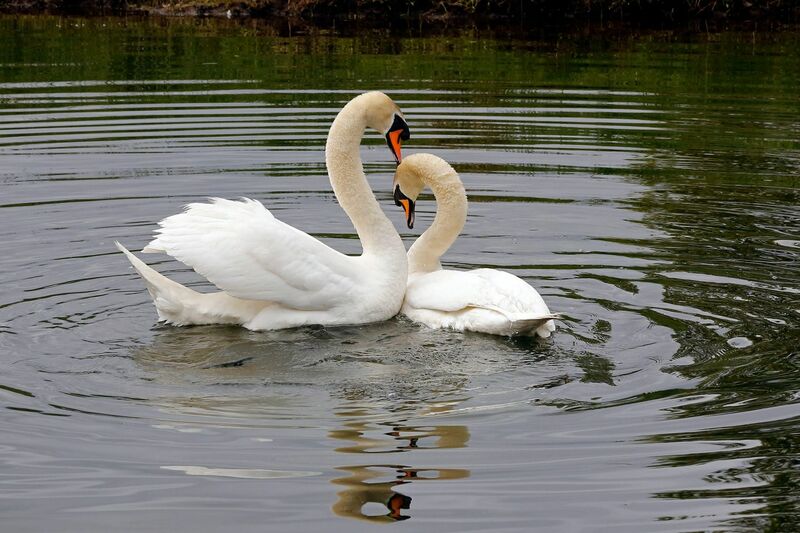 We were walking along the river Brathay when these two Swans at Elterwater came by. After a little while to my surprise, they started a courtship display that, to be frank, was fascinating to watch. It lasted for several minutes which ended up with this display of affection and a heart-shaped embrace.